While Missouri has some of the most lenient gun laws in the United States, breaking what firearm and weapon laws that are currently in place can result in serious criminal charges. 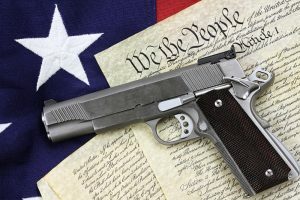 Living in a gun friendly state means that as citizens we need to arm ourselves with current firearm information to stay on the right side of the law. 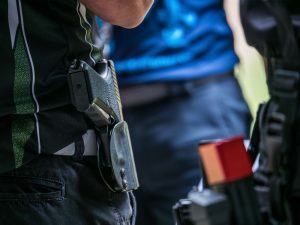 If your facing charges for unlawful possession of a firearm or unlawful discharge of a firearm, it’s vital that you discuss your case with a Missouri criminal defense attorney as soon as possible. Below, you’ll find information regarding Missouri’s gun laws, along with the repercussions for breaking these laws. Citizen or resident of the United States. Have taken a firearms training course. Have not been convicted or plead guilty for a felony charge. You are not a fugitive or charged with any crime punishable by more than one year. You have not plead guilty or been convicted of a misdemeanor such as a crime of violence, driving while under the influence, or possession of a controlled substance within the last 5 years. Have not been judged mentally incompetent. Do not have a dishonorable discharge from the armed forces of the United States. As of January 2017, residents of Missouri are no longer required to have a permit to carry a concealed firearm, as long as they meet the above requirements. Has been convicted of a felony under Missouri law, or another crime in the United States that if committed in this state would be considered a felony. Is a fugitive from justice, or in a habitually intoxicated or drugged condition, or is found to be mentally incompetent. Each of these crimes is punishable by a prison term of no more than 7 years and a fine of $5000. Any bullet or projectile that detonates or explodes on impact due to an independent explosive charge. Any short-barreled shotgun or rifle. Carries a concealed weapon (firearm or knife) and does not meet Missouri’s firearm ownership requirements. Shoots a firearm into any structure where people assemble. Displays a deadly weapon in a threatening manner. Possessing and negligently handling a lethal weapon while intoxicated. Shoots a firearm within 100 years of an occupied court, church or school. Shoots a firearm along or across a public highway. Carries a firearm into a church where people are gathered, into a precinct on election day, or into any government building. Shoots a firearm at a person or structure while in a moving vehicle. Takes a firearm into a school building or other school sanctioned facility. Unlawful use of firearms is considered a Class D felony and is punishable by up to 1 year in Jail or 4 years in prison with fines of no more than $5000. 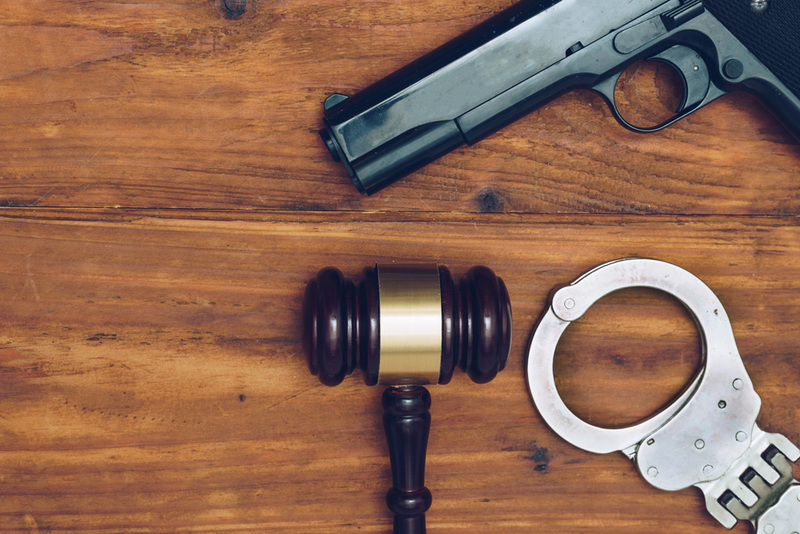 If you are facing firearm offense charges in Missouri, you need to speak with an experienced criminal defense attorney at Missouri Legal. In addition to losing your gun ownership rights, being convicted of a unlawful firearm offense, will limit your chances of getting a home or car loan and finding adequate paying jobs. finding adequate employment. When you schedule a free consultation with us, we will work with you to provide the best possible outcome. We will advise you on how to proceed with your case, as well as defend your constitutional right to bear arms. * Gun shop owners are not required by the state to have a license, register their guns, report lost or stolen guns, or limit the amount a person can buy at one time. Additionally, private gun shop owners are not required to run a background check on the person buying the firearm.